I absolutely love pudding cookies! They turn out soft and chewy every single time! These cookies are so delicious and the white chocolate and cranberry flavors make them perfect for fall and winter! In a large bowl, cream together butter, brown sugar, sugar and pudding mix. 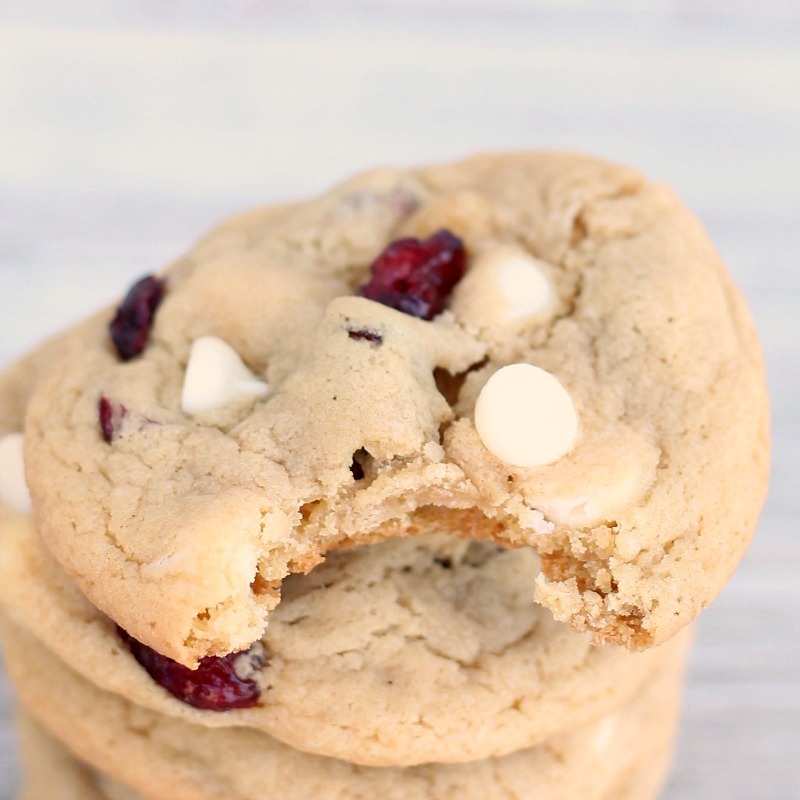 Fold in dried cranberries and white chocolate chips. Roll into 1-inch balls and place on a greased baking sheet. Bake for 8-12 minutes, or until golden brown. Cook and Serve will not work in this recipe. You can always buy the big box of instant pudding and just use part of the box.